On September 12, Apple opened the Steve Jobs Theater on their new campus in Cupertino with an announcement of new hardware. There was the new Apple Watch 3, Apple TV-4K, and two new iPhones. Outside of the tech press, everyone is focused on the iPhone X, “X” for the Roman numeral 10, a marvel of engineering but will cost $1,000. Breaking that $1,000 barrier is a big thing because it makes the iPhone X the most expensive smartphone on the market. But I see another story that can be more important to a lot of other markets than the price of the device. It is the technology that can be industry altering. Both the iPhone 8 and iPhone X have dual-lens cameras that are designed to enhance the use of photography. The new cameras have larger sensors that pick up more pixels of information with a processor that can better process the image. It is the image processing and the iPhone’s ability to use the detailed images to map the terrain, textures, and to use augmented reality (AR) to enhance what the camera sees. 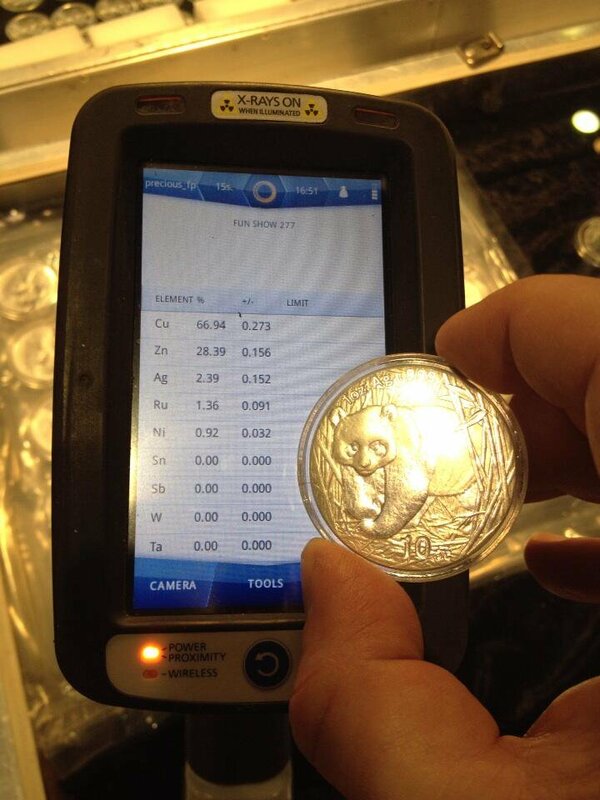 An area where this technology can help numismatics is with computer-based grading. Computer-based grading was first tried in 1991 using the technology of the day. While it was a good start, the technology was just not ready for the ability to grade coins. Apple proved that the technology is ready to try again. Human-based grading has led to an environment of mistrust amongst the grading services. It is the failure of humans to be consistent in grading that leads to religious-like arguments as to which grading service is better. These failures have led the creation of verification services to check up on the ability of grading services to do their job. The ability for the imaging process to visualize and analyze thousands of polygons on an image, the way imaging technology visualizes the three-dimensional surface, in such a way to allow for real-time expression processing and rendering can be used to assess the surface of a coin. Another problem that can be resolved is the crack out game. Some people will crack coins out of their slabs to submit them to the grading services multiple times to play on the failure of humans to be consistent to try to have the coins graded higher. The information created based on the surface analysis of the coin will result in digital data that should be unique to each coin. Minute scratches and other environmental factors can help distinguish one coin from another in the same manner that there are subtle differences that can detect on identical twin from another. 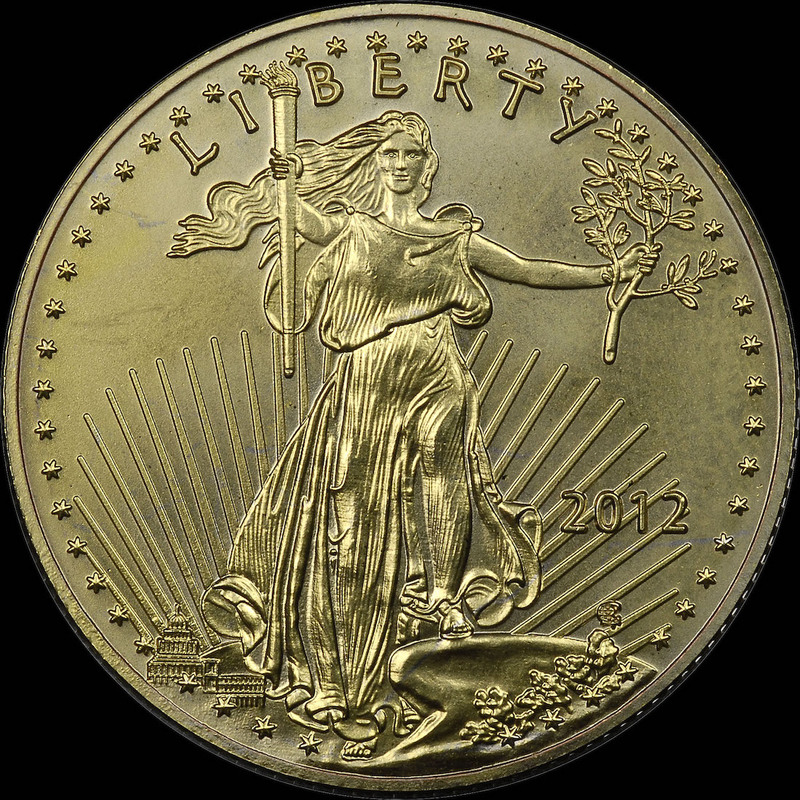 Creating a digital signature for each coin will help prevent theft or help law enforcement use the information to track stolen items. Imaging analysis can look at the surface to find alterations like the use of a chemical that would change the surface. 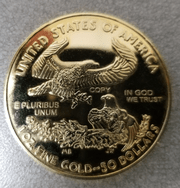 Rather than using the “sniffing” technology that Professional Coin Grading Service has pioneered to find chemical additives, a surface analysis can detect chemical-based alterations to the surface. Altered surface detection can also be used to detect unnatural toning. It will require teaching the imaging systems to detect the differences between natural and unnatural toning, but the long-term benefits to the hobby will be tremendous. Aside from grading consistency and the ability detect altered surface, it is possible to expand current technologies that will help detect the use of plated or other metal counterfeits. Devices that are able to visualize a few microns under the surface of the coin to detect the metal content along with the new visualization technologies will make it more difficult to pass counterfeit coins. In the short term, this will not put the third-party grading services out of business but it will change their business. They will not be grading and regrading coins. The computer will analyze the coin, provide the owner with a report, and that report will be consistent regardless of the imaging process used. Otherwise, the coin was altered and you would know about it. Eventually, this could eliminate the plastic slab that has been counterfeited. 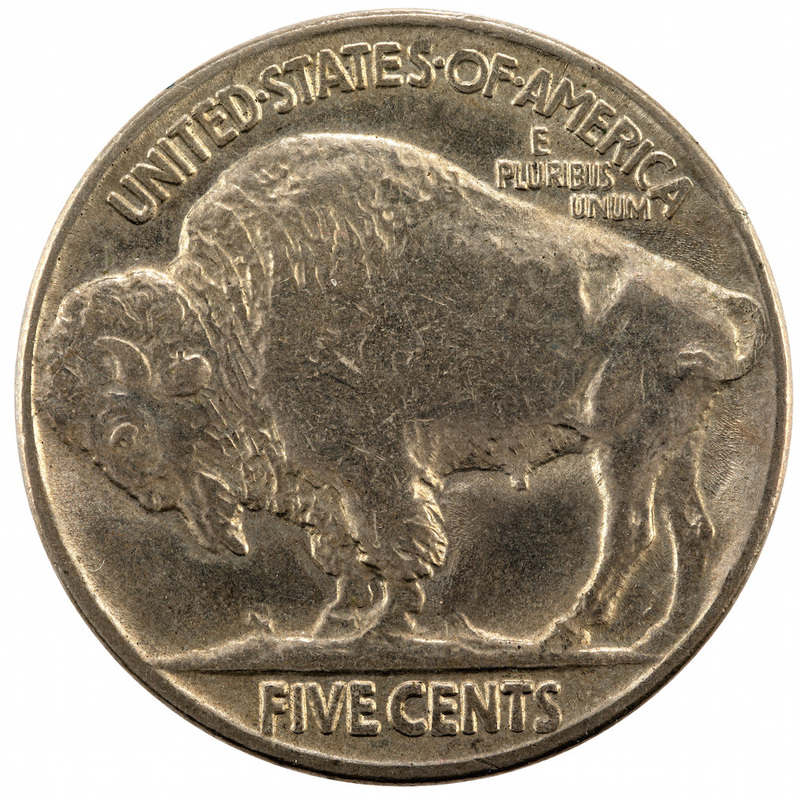 The coin itself becomes its own identifier and reduces the reliance on the slab. This technology will eliminate the verification services. There will no need for a human to verify the human-based grading. After all, the fourth-party verification process is artificially driving up the costs of collector coins because of blind trust placed in humans verifying humans. Although I spent nearly all of my adult life in the technology industry, I am not for technology completely taking over all aspects of our lives. There is a level of trust in the hardware and software that must be earned to have me feel comfortable with things like self-driving cars or even maintaining personal information (see the recent Equifax breach). However, I am for the use of technology where it can solve a problem. Technology can solve the problem of inconsistent grading. Technology can solve the problem of coin identification. Technology can solve the problems with counterfeiting. Why not use technology to increase the trust in the numismatic market by fixing these problems? It is now time that technology was put to use in the numismatic and collecting industries in order to create a level of assurance for the collector that their item is genuine and the condition is what the collectible is being represented as. iPhone X image courtesy of Apple. Niton scanner image by the author. As I continue my research into history and technology of counterfeiting, I have been collecting historical statistics as to the problem of counterfeiting. I thought I would share the current statistics I found. The most common counterfeited denomination is the 20s, be they dollars, pounds, euros, or pesos. For currencies whose values are significantly lower than the dollar, such as the yuan, or whose currencies have no real fractions, like the yen, the most common counterfeited denomination is the 100 unit. In the past few years, many countries and central banks have released new currency with additional anti-counterfeiting technologies. 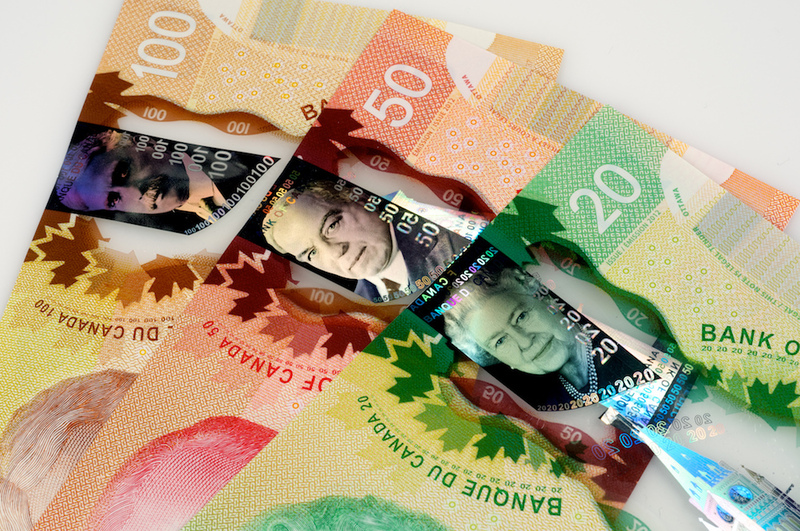 Canada is currently in the process to transition to the cotton bond currency to a polymer substrate. Since starting the transition, the Bank of Canada is reporting a decrease of 141,502 notes in 2007 ($3.3 million in value) to 17,492 in 2016 ($900,000 in value). 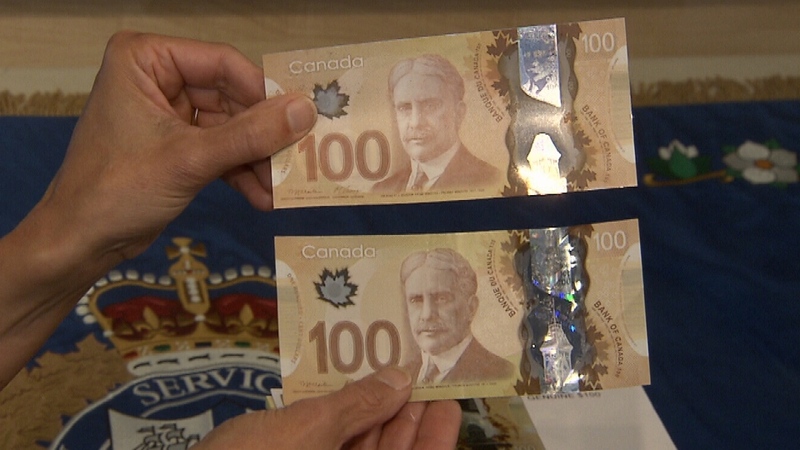 For Canada, this is a decrease in 88-percent of the number of notes passed and a decrease of 73-percent in value. 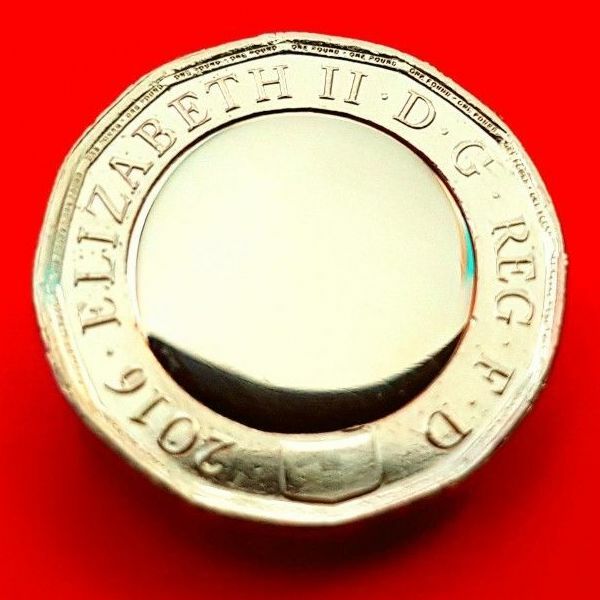 A few months ago, the Royal Mint began the process of issuing a 12-sided pound coin to replace the round-pound because about 2.5 percent of 1.6 billion of 1 pound coins are counterfeit. Although this has been a painful process, the Brits will continue the transition which calls for demonetizing the round-pound by October 15, 2017. The Bank of England began issuing currency using the polymer substrate starting with the £5 notes. The paper fiver was withdrawn on May 5, 2017 (withdraw the £5 on 5/5… get it?!). Plans continue to issue the £10 note in September. 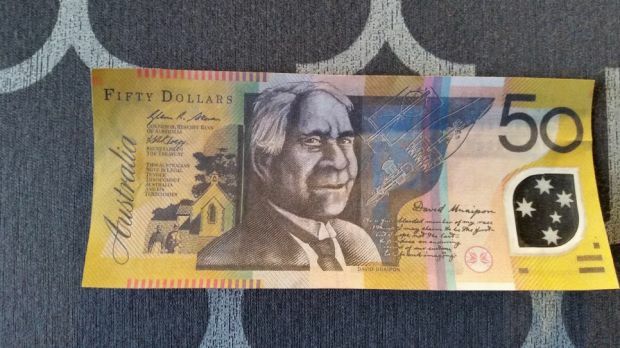 The move to polymer notes was prompted because of a spike in counterfeiting in 2012. Spiking at more than 746,000 counterfeiting notes with a value of £13.71 million, the Bank of England reports that 347,000 counterfeit notes valued at £7.47 million were confiscated in 2016. Eurozone has had more problems with counterfeit €2 coins than currency. The European Central Bank reports that counterfeiting remains low in the Eurozone and even reduced by 20.7-percent from 2015 to 2016. Of the notes counterfeited, the €20 and €50 notes make up 80.3-percent of the most counterfeited currency. Surprisingly, the €100 (at 9.7-percent) and €500 notes (4.9-percent) are not as widely counterfeited. However, the ECB has other concerns with these high denomination notes since the €500 notes are a favorite amongst the cash-based illegal trade because it takes fewer notes to carry a high-volume of currency. One study noted that the €500 note was referred to as the “Bin-Laden” for its added convenience. The ECB is in the process of transitioning their currency to the new Europa Series. A new €50 note was issued this past April. Aside from new designs, the Europa series uses some of the advanced technologies to prevent counterfeiting but does so on cotton bond. Currently, there is no plan to use the polymer substrate for the Euro notes. As opposed to other central banks, the People’s Bank of China (PBC) is not as forthcoming with information. But when they do something, news reporters can obtain some nuggets of information from Chinese officials. When the PBC unveiled new 100 yuan notes with additional counterfeiting features, they reported to the Wall Street Journal that police confiscated 532 million yuan ($85.6 million) in counterfeit bills in 2014. The most commonly counterfeited notes were 50 yuan and 100 yuan bills but there have been increases in lower denominations. Mexico has been undergoing a slow conversion to polymer notes. Currently, the 20- and 50-peso notes are made using polymer and the new generation of 100-peso notes are made of polymer. Higher denominations continue to be printed on cotton bond but incorporate a number of advanced anti-counterfeiting features other countries are using. The Bank of Mexico has not announced plans to convert higher denominations but a representative reported that the plan is to print future special issues on cotton bond, such as the 100-peso banknote commemorating The 100th Anniversary of The Enactment of the Constitution issued last February. 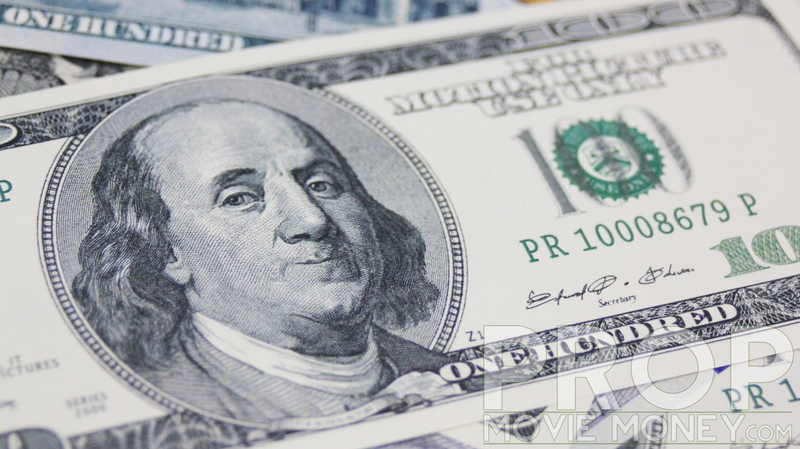 Statistics published by the Bank of Mexico reports a decrease in the number of counterfeit currency from 70.7 per million issued to 61.8 per million notes issued. This represents a decrease of 12.6-percent. When the Bank of Mexico issued the new polymer 20- and 50-peso notes in 2014, they experienced a drop in 36.9-percent in counterfeiting. It is not a surprise that the world’s most use currency and the currency that most world trade is based is the most counterfeited currency in the world. There is also more United States currency in circulation that any other, including the Euro. According to ​the Federal Reserve, there is approximately $1.49 trillion in Federal Reserve notes circulation. The Federal Reserve Bank of San Francisco says that 31.1-percent of those notes is the ubiquitous dollar and 26-percent are $100 Federal Reserve Notes mostly held overseas. Prop Movie Money continues to be a problem because people just do not look! According to the United States Secret Service in their 2015 Annual Report, the latest available, they prevented the circulation of over $58 million in counterfeit U.S. currency resulting in the arrest of 796 criminals and closing 145 manufacturing operations. Of the $58 million counterfeited, $28 million, about half, of the bogus U.S. currency was seized prior to it being circulated. The $20 bill is the most commonly counterfeited banknote in the U.S., while overseas counterfeiters are more likely to make fake $100 bills. 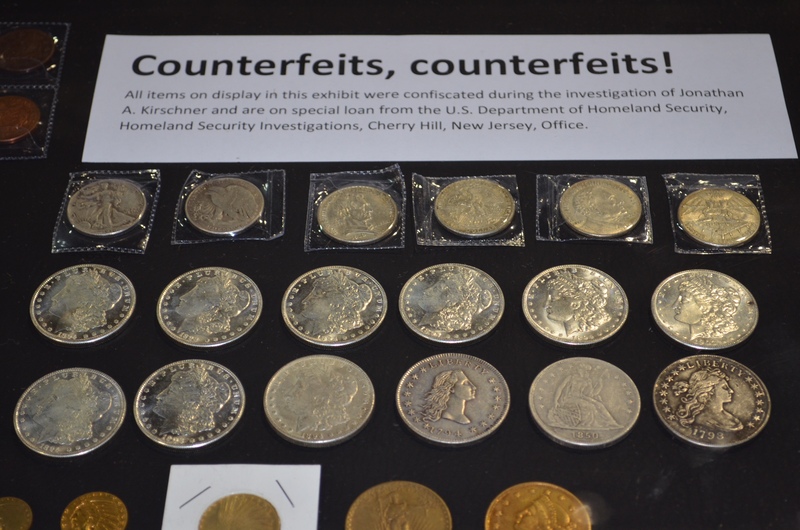 In every report downloaded from the various governments and central banks regarding the security of their currency, it is a common theme that the vast majority of counterfeiting would have a minimal impact if people would just look for the anti-counterfeiting measures these entities go through great lengths to add to the currency. 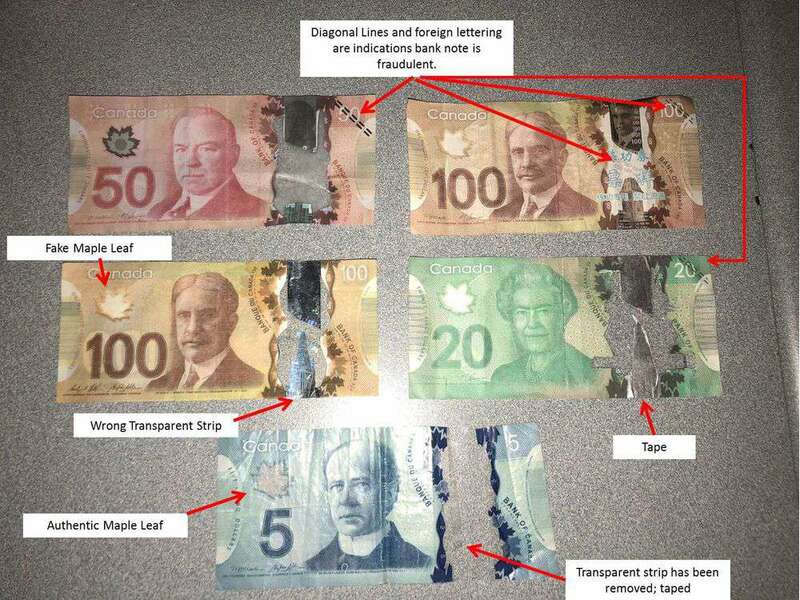 Whether it is not looking for the edge lettering on the old round-pound or the recent cut-and-paste of the security features of Canadian currency, there would be few problems if people would just look. Canada counterfiet currnecy image courtesy of CTV News. Mexican currency image courtesy of Bajainsider.com. 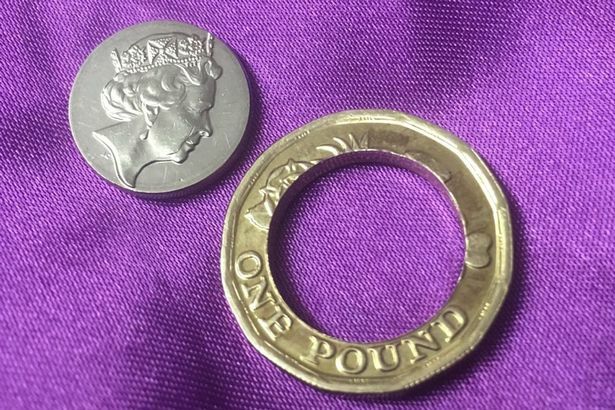 On the left is an altered British £1 coin. The coin on the right is a legitimate coin. As the British public transitions to the new £1 coin, the finding of errors in the minting process by the Royal Mint have led to a new phenomenon, the counterfeiting of those errors. According to media reports confirmed by the Royal Mint, the three significant errors found are when the thistle on the reverse did not strike properly is produced as a smooth blob, the copper-nickel center of the bimetallic planchet appears to have melted across the coin, and the inner disc and outer ring did not fuse properly. 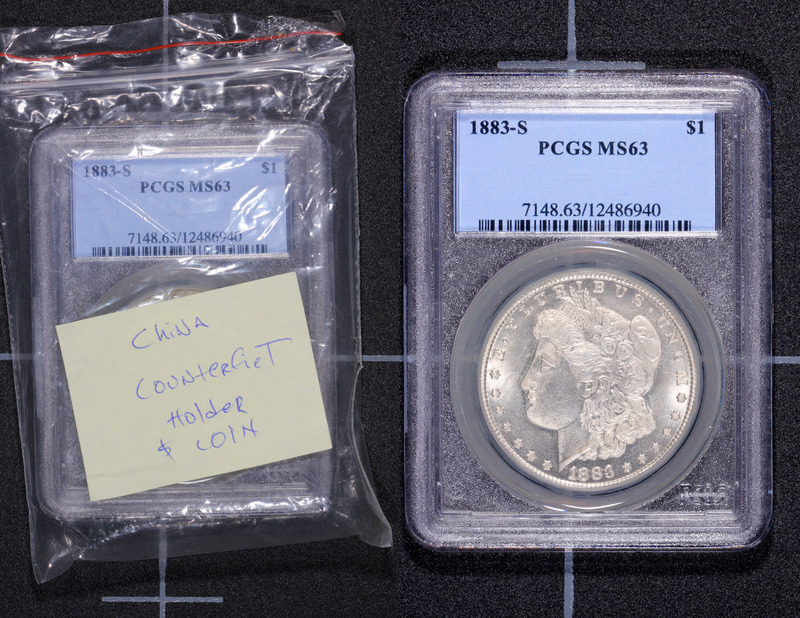 Coins with legitimate errors have been sold on eBay (U.K. and U.S.) for significant premiums. 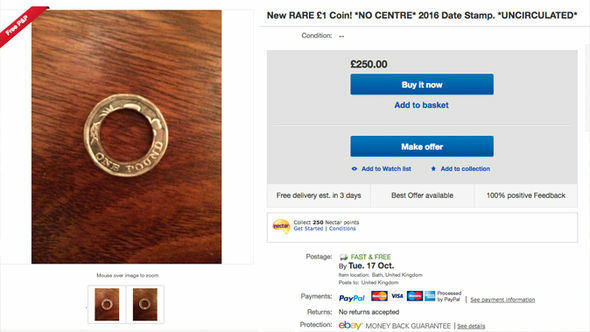 Unfortunately, scammers have picked up on these problems and have been selling altered coins on eBay as errors. 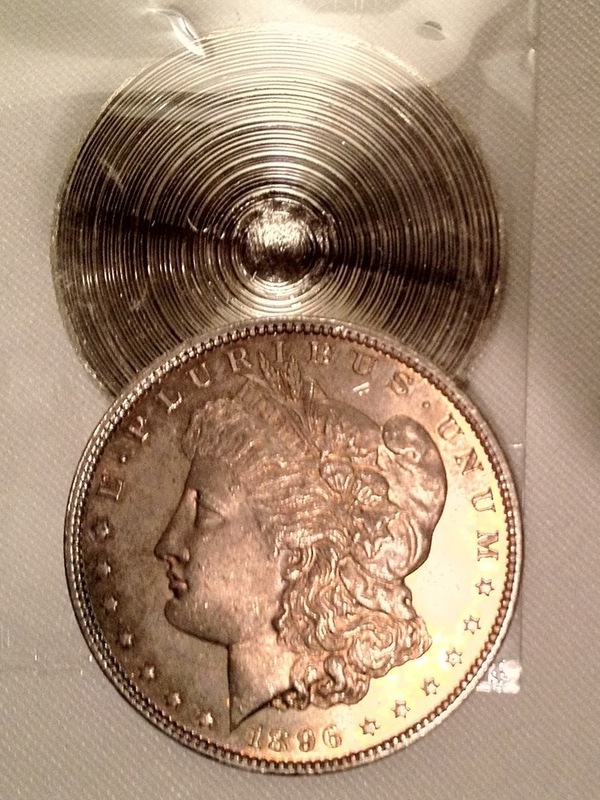 Common alterations are based on removing the silver-colored center and create error-like coins by making different alterations. 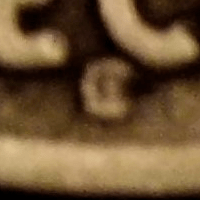 Amongst the tries to create something that looks like an error includes the Queen’s portrait appearing on the wrong side of the coin and facing the wrong direction which is impossible because of the how these coins are struck, the center of the obverse lacking the Queen’s portrait, and gouges removed from the center. Both the errors and fakes are being sold for an average of £300 (approx. $386.13) on eBay. 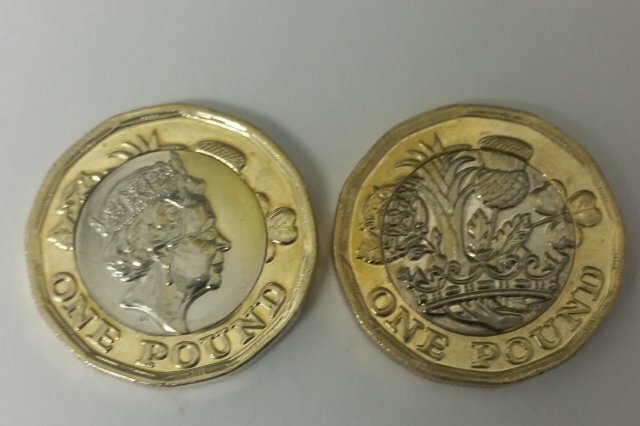 If you want to purchase a British £1 error coin carefully examine the image and the image of a legitimate coin from the Royal Mint’s website. Make sure the person you are buying from has a return policy or buy from a dealer. Of course, it is easier to be careful buying from the U.K. on that side of the Atlantic, but for those U.S.-based error enthusiasts, you have to do your due diligence. Otherwise, you may get stuck with a fake! 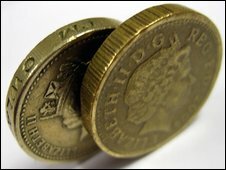 Image of counterfeit courtesy of AOL (UK) Money.